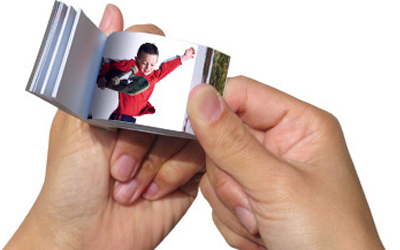 Using cutting edge digital technology we create custom Flip Books on-site, at your event, for guests to take home. 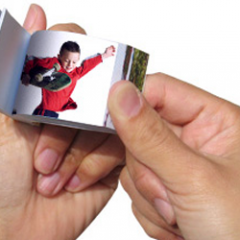 The Flip Book is a unique keepsake that makes every guest a star. Lights, camera, action! Our staff will make a 6 second videotape of each guest, which digitally turns it into still shots. We then print, cut, collate and staple everything into a book. Flip the pages to see the magic of stimulated animation appear before your eyes! Neat, unique and lots of visual entertainment too! Ask about floating info on the pages too!